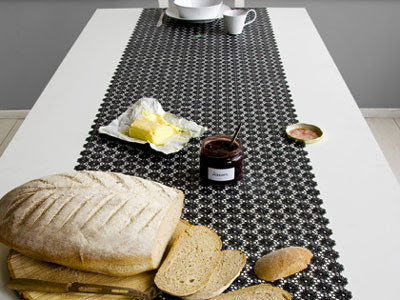 I think these lacey rubber table runners and placemats are pretty cute, pulling off an effective combination of delicate looks and hard-wearing practicality. 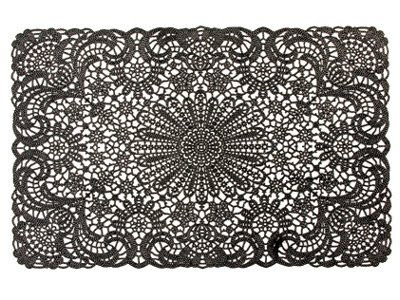 I know they’d certainly get a lot more use around here than my handmade Belgian lace would (if I had any in the first place). Available from Design My World.